← Enemies of the State? The contemporary poetry discussion group is back! 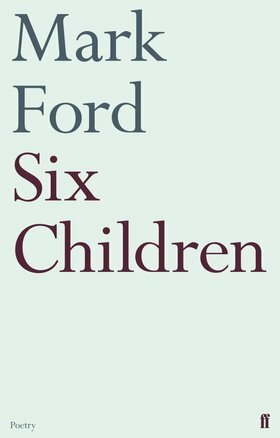 After a break due to the Reading Poetry Festival – which we hope all enjoyed – we will be discussing one of the poets who attended it, Mark Ford. 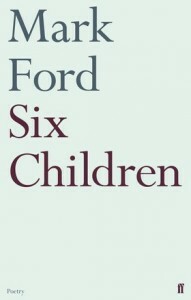 We will be looking at his recent collection Six Children (2011) in HumSS 10 (please note change of room from our usual room of Humss 110), Whiteknights Campus, on Thursday 20th June at 5:15pm. Handouts are available in the Eng Dept pigeonholes opposite HumSS 110. Drinks and snacks will be provided. We hope to see you there! This entry was posted in Department of English Literature news and events and tagged contemporary poetry dicsussion group, Department of English, Department of English Literature, English Department, English Literature, Mark Ford, Reading, University of Reading. Bookmark the permalink.